listing importers of American and European health and sports devices and machines, where some have their own outlet branches and/or On-Line shopping sites . A decade past the Millennium : Korean consumers have begun ordering directly from abroad a good range from exported Korean wide-screen LED television sets to even BMW automobiles . local dealership do not like this setup so may do all they can to refrain from honouring warranty on products purchased abroad . MymeKorea On-Line Store with half a dozen outlets mostly in department stores around Metropolitan SEOUL, also selling Bremshey and Tunturi running machines . 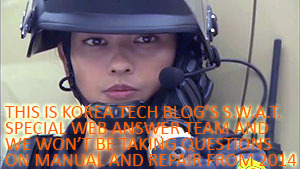 – I recommend you have a Korean-speaking friend or colleague call them before you eMail, purchase On-Line or travel-to . ＊if you are traveling from outside SEOUL, above address is closer to either NamBu or BanPo (out-of-city) Express Bus Terminals (both South of the Han River), than SEOUL KTX Train Station (which is further up North of the Han River). it is about 5-minutes walk from YangJae Subway Station Exit 2 of either SEOUL Subway Line 3 or ShinBunDang Line – OutBack SteakHouse YangJae Branch is on the second block, and Myme Korea office building is 3 more blocks North .